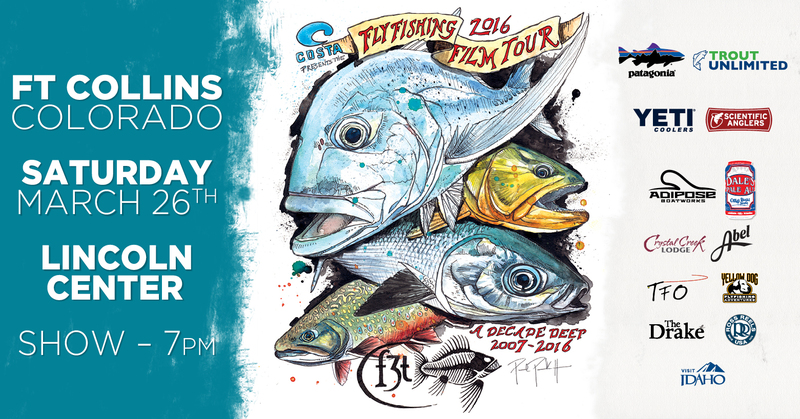 The Fly Fishing Film Tour (F3T) is a one of a kind experience showcasing the best in fly fishing cinema. 2016 marks The F3T’s 10th lap around North America and this year’s lineup of films is, without question, the best the Tour has ever presented. From Bolivia to the Seychelles, British Columbia and Patagonia, from Saskatchewan to Zambia and Virginia to Montana, the characters, unique storylines and unparalleled fishing in these films will lead you on an adventure around the globe! This event is general admission seating.